How can our Student Lifecycle Project improve the delivery of exams? 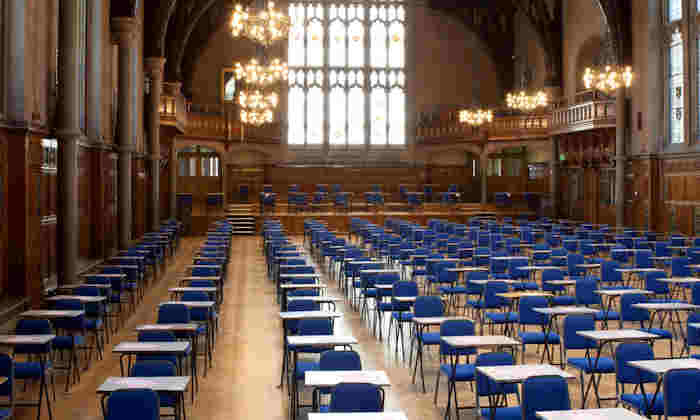 The January exam period saw hundreds of Professional Support Services (PSS) and academic staff across Schools, Faculties and central teams working together to deliver 1,580 exams for 28,293 students at 73 venues across the University’s estate. Senior colleagues will then review the scope of the SLP and the changes that it will deliver. IT systems – including Campus Solutions 9.2 and Microsoft Dynamics 365 – will enter development and build in March and the Project will then look at Ways of Working. The aim of this phase is to identify where processes should sit across the University and its Schools, Faculties and central services. It will involve significant input from PSS staff, academics and students, and further details of how to get involved will be communicated soon.